The Church didn’t begin as a political or social movement, or even as a new religion. Rather, it began in the miracle-working, compassionate power of Jesus Christ. This is spiritual power—God’s power—to change the lives of human beings, the power to heal sickness and disease. In his new book, The Power of Christ in YOUR Life, Warren R. Angel, a longtime minister, says Christ’s power is real and still working today through the lives of believers because God loves all people everywhere. Some scholars think the power of Christ is pure fiction, or magic at best. Others think this power ended with the cessation of the Apostolic Age. But Angel compels us to think again, because “Christ’s power has never left his Church.” The history of the Church is the history of the power of Christ at work in our world. Angel shares story after story of amazing miracles of nature and healings of mind, body, and spirit, beginning with the life of Christ and continuing with the apostles and people like Constantine and Augustine―down to the 21st century―everywhere Christ is preached and believed, including his own ministry. Christ’s power is available to anyone anywhere in the world. The Power of Christ in YOUR Life is currently available at amazon.com/books in paperback for $9.99, or a Kindle e-book for $4.99. 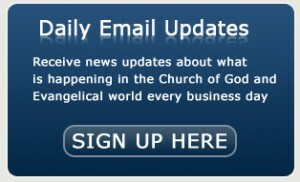 Or write to Warren R. Angel at [email protected] or visit his blog at www.theangelreport.net.